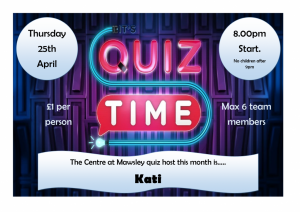 April quiz host is our very own Kati. Teams of upto 6 people, £1 per person . The quiz starts at 8pm. Tell your friends and lets get quizzing.